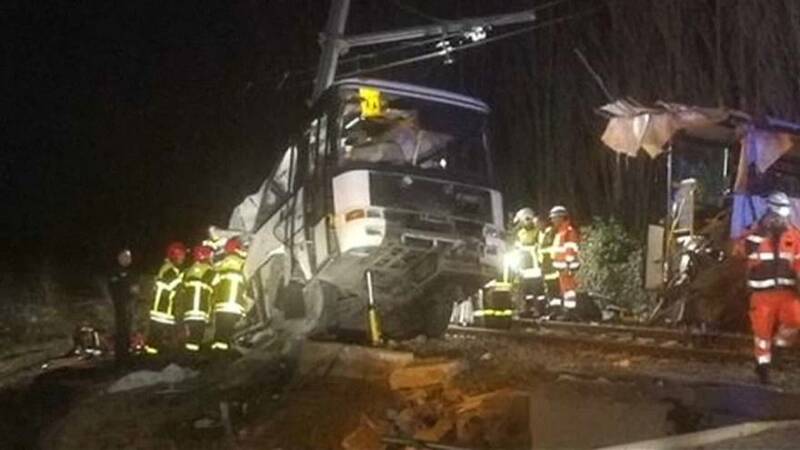 French authorities investigating how a train was able to smash into a school bus at a level crossing are trying to ascertain whether the railroad barriers were open or closed when the accident occurred. State prosecutor Xavier Tarrabeaux said on Friday that most witnesses had told investigators the gates were down at the time of crash, however some, including the bus driver, said they were raised. The collision, which ripped the coach in two, has devastated the local community, which has long been aware of the hazards of the line. François Picq from an association of users of the TER line said: "This is not the first incident on this line, even if this one is much more tragic than the others in the past. So, as I say, if incidents like this happen, we should check whether the maintenance of the line is up to standards or not". Four children were killed in the collision and another succumbed to their injuries on Friday. The bus, which was ferrying students home from school in the Southern town of Millas, was hit side-on by the train, which was travelling at close to 80 km/h.